Crash (1996), Live At Red Rocks 8.15.95 (1997), The Gorge (2004), Live At Mile High Music Festival (2008), Live In New York City (2010), Live Trax Vol. 4: Richmond, VA April 30, 1996 (2005), Live Trax Vol. 5: Rochester Hills, MI August 23, 1995 (2006), Live Trax Vol. 6: Boston, MA July 7-8, 2006 (2006), Live Trax Vol. 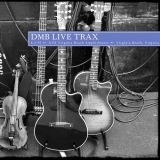 12: Salem, OR May 5, 1995 (2008), Live Trax Vol. 15: East Troy, WI August 9, 2008 (2009). Sorry, no matches on eBay for "Proudest Monkey Dave Matthews Band".